The roof on the ark is in need of repair before winter arrives. This past Spring we experienced some heavy winds that pulled up some of the metal roofing sheets. We need someone who is willing and knows how to repair and replace the screws in the metal roofing and fasten them securely to the Ark. 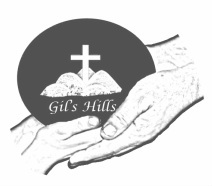 Gil' Hills Ministries is a 501-C-3 non-profit organization.